Greenan Maze, Rathdrum will host a morning of free talks on Saturday 7th April 2018 from 10am to 1pm. At 10am Sarah Rubalcava from Rubalcava Heritage Services will present “Biodiversity and Planting for Pollinators” followed by a short presentation by Mairead Doherty, Wicklow’s Cool Planet Champion, on “Climate Change – what it really means and what can we do about it?” at 11.30am and also a “Recycling Workshop – get your bin sorted” with Sylvia Thompson (Recycling Ambassador Programme & VOICE) at 12pm. These free talks are a way to say a big thank you to all the local PURE mile groups who are busy cleaning up our local country roads and attempting to keep our garden county litter free and beautiful. Participants could win a 500g bag of mixed Irish native wild flower seeds (kindly donated by Design by Nature, www.wildflowers.ie) to help increase biodiversity in local areas. All members of the public are welcome so EMAIL: [email protected] to secure your place. Sarah Rubalcava of Rubalcava Heritage Services will discuss “Biodiversity and Planting for Pollinators” and what that means in Wicklow and in our local areas. Outlining the threats affecting our pollinators, especially bees, Sarah, a qualified horticulturalist) will show participants how planting different flowering plants for different seasons can provide much needed food and homes for our bees and insects at all times of the year. She will also show how tips and techniques from the All Ireland Pollinator Plan (published by The National Biodiversity Data Centre in 2016) can help householders, gardeners and local PURE Mile groups increase Biodiversity in our road verges, green spaces and local community areas. 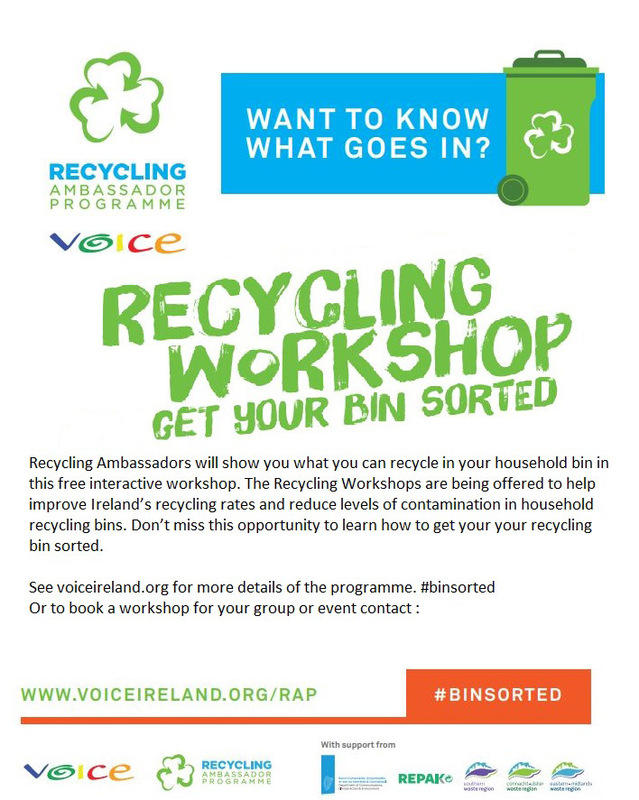 On the same day Sylvia Thompson (Recycling Ambassador Programme & VOICE) will host a “Recycling Workshop – get your bin sorted”. “Climate Change – what it really means and what can we do about it?” by Mairead Doherty, Cool Planet Champion. Cool Planet Champions is Ireland’s first national programme designed specifically at explaining climate change in as simple and understandable way.. The Champions are local people at grassroots level who want to help you make a difference in the fight against climate change. Mairead’s free interactive talk will show you what is going on with our planet and some of the practical and even fun things we can do in our daily lives to help inspire change. The program is an initiative by the Environmental Protection Agency and Cool Planet Experience, a new visitor experience which opened in Powerscourt Estate, Wicklow, in March. 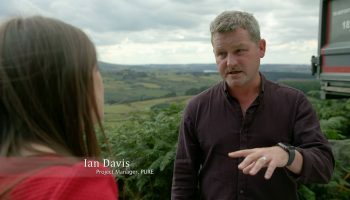 The PURE Mile is an environmental initiative of The PURE (Protecting Uplands and Rural Environments) Project which aims to foster a greater appreciation and awareness of our country roadscapes by rewarding and acknowledging local community efforts. The competition encourages communities and groups living in rural areas to adopt a mile stretch of road (approx. 1.6 km), and keep this area litter/rubbish free, research information about their local wildflowers, trees, animals, built/social/cultural heritage, history, and the folklore. Greenan Maze are a small family tourist farm situated in the beautiful Wicklow hills, with two mazes, three museums, nature walks, farm animals, treasure hunt and fairy tree trails, craft shop and tea-rooms. A great day out for all the family. For a virtual tour of the farm and its attractions check out www.greenanmaze.com and see how getting lost in the maze can find the kid in everyone.